Attorney Mark Boegehold has expertise in personal injury cases, including automobile negligence, trucks, bus, motorcycle and pedestrian accidents, slip and fall accidents, dog bites, and police misconduct. 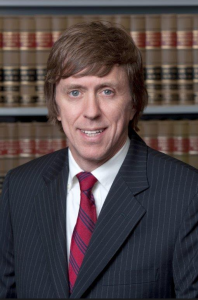 Mr. Boegehold is a graduate of Michigan State University and the Detroit College of Law. He was admitted to the Michigan Bar in 1986 and the United States District Court for the Eastern District and Western District of Michigan in 1988. Mr. Boegehold is also a member of the Michigan Association of Justice. He was featured on the front page of Michigan Lawyers Weekly newspaper for obtaining a large verdict in a complex negligence case. Contact Mark Boegehold, Thurswell Law attorney, for your free consultation.